Multimodality mesothelioma treatment, also called multimodal, combined treatment, or combination therapy, is a type of treatment that combines several different approaches of mesothelioma treatment into one comprehensive therapy. Since a combination approach treats mesothelioma from different angles, it may be not only a more effective treatment but also prolong life more than any one standard mesothelioma treatment alone could. Multimodality mesothelioma treatments can combine two or more mesothelioma therapies, which may be traditional or alternative. Because multimodality treatment combats the asbestos cancer through different approaches, it can fight the disease on its own terms – that is, aggressively. Since mesothelioma is known to spread quickly, doctors may recommend a multimodality approach when the disease is first diagnosed to slow the cancer’s progress. Multimodality mesothelioma treatment can also be used in more advanced stages to increase patient comfort and quality of life. Most mesothelioma treatments can be combined, and multimodality treatment is becoming the most recommended way to deal with a malignant mesothelioma diagnosis. Many standard and alternative mesothelioma treatments compliment one another and can be done concurrently, though certain treatments cannot be done at the same time. 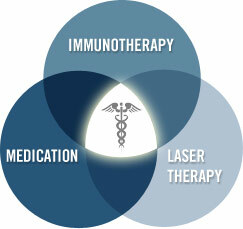 Multi-modal treatments improve outcomes because it addresses the different ways that mesothelioma attacks the body. 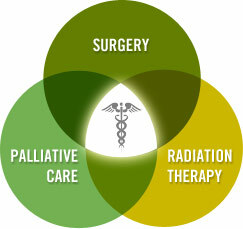 For example, the growth and spread of mesothelial cells are addressed through surgery and/or radiation therapy while the painful symptoms are treated through medication and palliative care. This “whole patient” approach puts the mesothelioma victim front and center, offering a support network and treatment regime to do all that can be done. This approach also reduces reliance on any one mesothelioma treatment option; since some can be invasive, the impact on the patient is reduced and quality of life is improved. Those diagnosed with mesothelioma should explore all of their treatment options with their medical provider. 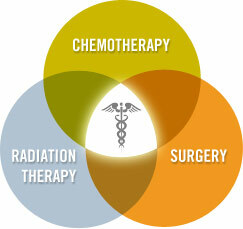 Using a combination approach is recommended by mesothelioma specialists for best survival and quality of life. The mesothelioma law firm of Clapper, Patti, Schweizer & Mason can help mesothelioma victims obtain compensation to pay for these treatments and provide for loved ones. Please contact us for a no-obligation consultation at (800) 440-4262.